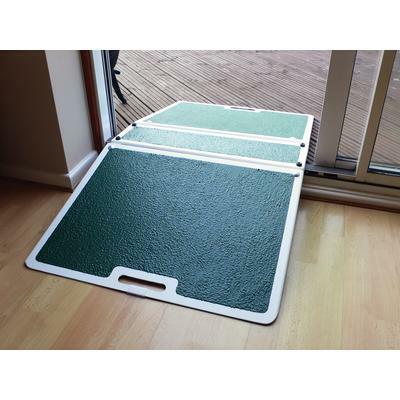 This folding ramp is a safe and simple way to overcome a raised threshold strip. 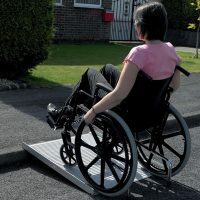 It folds out onto either side of a small platform, and by bridging the threshold strip makes it easy to go up, over and down the other side. 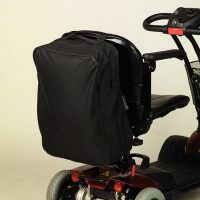 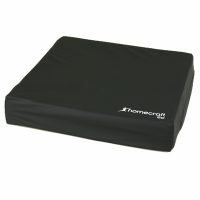 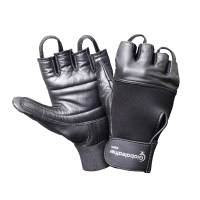 It folds up neatly and is easy to transport with its carry handle at the top.